The demand for a professional resume has increased steadily over the years. More foreign students are going to the United States to study in a university. More graduates are interested in pursuing Master’s or Doctorate degrees. More job applicants are applying for new work or shifting careers. This means greater demand for a professional and SEO-friendly resume that will highlight the unique personalities of the students and professionals. Why not try a team of academic writersto work on your resume? With over 8 years of experience in providing academic papers to students in the US and the UK, we have developed skills in doing research and writing business papers. Outsource your resume writing tasks to proven professionals. In outsourcing resume writing to freelancers, you get to focus on marketing and interacting with your clients. Writers Venture believes in the idea of synergy. We believe in the concepts of partnership and collaboration. We are aware that in order to succeed business organizations need partners so they can focus on their core business. Let us help your business succeed. We offer affordable resume writing services so you can have the opportunity to grow your business. We have over 8 years of experience helping customers in the United States grow their businesses providing admission solutions to their clients. We provide resume writing to our clients which render admission and consulting services to students in many countries. Should you have questions with our resume or our other services, our customer support officers are online to assist you with your concern. With Writers Venture, you can keep your eye on the ball. You can focus on the bottom line while we focus on resume writing. 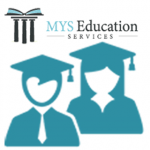 We have more than 10 years of experience as academic writers for various ESL students in community colleges, state universities and graduate schools in the United States. We adhere to the strictest standards in citation of our sources and have a no-tolerance policy against plagiarism. Our writers are professionals working in the private and public sector. Do you need engaging and entertaining content for your growing online business? Why not try a team of academic writers to help you with creating fresh and engaging content for your website? Content is king so we make it our policy to help our clients attract their target audience. 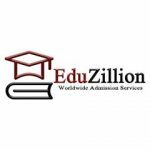 Currently, we work with various companies in the United States and other countries which outsource their admission essay needs. We diligently check the university's requirements as part of the research process prior to writing their statement of purpose essays. We tailor fit the student's statement of purpose with the university's requirements.